Lee Miller - "The Futility of Language"
Named for one of the Twentieth Century's sexiest photographers (as they say on their web site), Lee Miller is the American-Finnish trio of Jordan Mamone on guitar, bass and vocals, Jyrki Laiho on guitar, mandolin, bass and vocals and Janne Peltomäki on drums, keyboard and bass (the latter two having been key members of Circle for some years). Fans of totally mind-fucked rocking guitar terrorism are in for a treat with this dicsc. The CD opens with "Mary Pentagram", a short bashing guitar driven industrial metallic noise assault. "Two Black Eyes" is next, and though similar, one of the guitars does a ripping solo freakout while the second guitar and rhythm section maintain a steady but thunderous doom march. Imagine the repetitive trademark Circle styled themes within an avant doom metal context and you might get something like this. Very intense and a bit spooky, but there's lots of really interesting guitar action going on and the trio is rocking out nicely. "Kiinalaiset" is another highlight, with a much denser glom of guitars sound, but includes heavy doses of crazed playing and struck me as kind of like a doomier version of MX-80 Sound. Major high volume noise freakout aggression. But the music is also atmospheric in a oddball lobotimized kind of way. "Tarn" goes in a slightly different direction, with more varied and discernible guitar parts and is comparable to some of Circle's heavier music, though firmly in the guitar noise assault realm that Lee Miller has based itself in from the opening moments of the album. "Eavesdropping" brings to mind an acid-psych take on early Material (circa Memory Serves). This is one of my favorites of the set. Totally mad, but with structure and direction. Love it. "Missing Spleen" is a somewhat whimsical tune, like a heavy metal psychedelic carnival at an insane asylum, and buried within it is a sort of Discipline era King Crimson vibe. 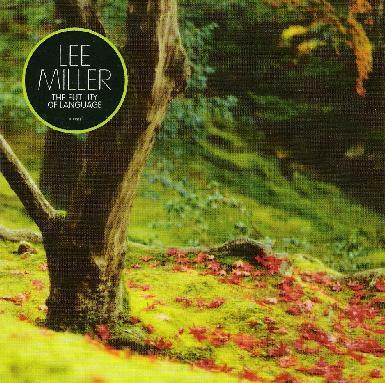 In summary, Lee Miller is dark, intense and violent, but also a creatively constructed and ultra heavy good rockin time. Avant-prog gone insane at the headbangers ball. Check it out. For more information you can visit the Lee Miller web site at: http://www.mir.blogdns.com/band_single.php?band=34.